At Kendrick Rose we have met with hundreds of prospective employees and we are well placed to understand the sensitivity in broaching a pay rise with your boss. What is the best way to act in a professional manner and approach such a delicate and potentially awkward situation? We have listed some helpful questions you may want to ask yourself before rushing in and raising the question. How far have you progressed over the past twelve months? Using an evidence based approach to answer this question is the most effective. For example, If you are working to time sheets, review your billable hours and compare the data year over year. Build a case for yourself and once you’re finished, review your progress from the businesses perspective. Have your duties changed considerably? Roles change over time and most contracts will command that your day to day responsibilities may change to suit the business needs. That means you’re going to have to really think about what is and what isn’t within the scope of your role and whether this is a the real reason you think you deserve more money for what you do. Are you better at your job now? If your role is skill based or dependant on qualifications then asking for a pay rise after passing your last exam or becoming fully qualified at what you do is a great conversation starter and could be your best bet at securing your next remuneration package. Are you contributing to the company beyond what is expected of you? Let’s talk about going ‘above and beyond’ for a minute. Look around at your peers, are there members of your team are always there when you arrive at the office and still there when the clock hits 17:01 and you’re out the door because you have a busy social life. If you’re really going above and beyond what is expected of you and are working smart, it will eventually get noticed. Why not make 2018 the year you start working smarter, not harder! 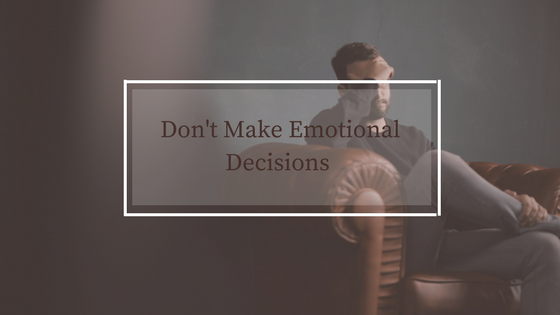 Are you being lead by your emotions? Often when it comes to pay rises you feel like you deserve them and the thought or reality of you not getting one can lead you on a downward spiral of negativity that can really take your performance in the wrong direction. Make sure you are fully prepared for the feedback you are given, positive or negative and make use of it to improve yourself and your work. Pay rises are normally granted based on performance and contribution to your team, department or company generally. The majority of businesses go through cycles, picking the right time to ask for a pay rise could be the difference between a flat out no and an invitation to further discussion. Try and get your boss when he is an a good mood. This doesn’t mean asking him in the pub after a skin full of drinks either, what it does mean is you need to be tactful. If you have just signed off a huge piece of work or have had a spate of seriously good feedback then make sure your line manager gets this and passes it on to the relevant stakeholders in the business. 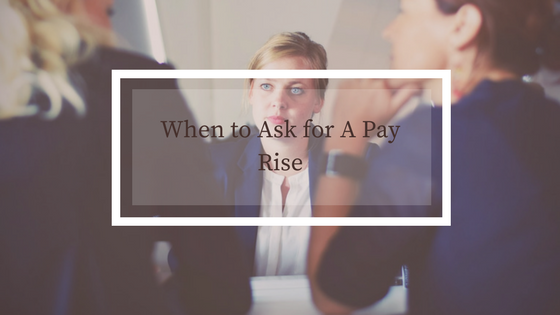 Being armed with the right knowledge when you are about to ask your boss for a pay rise is important. If you have significant data on your performance from reviews and feedback from customers you can create an evidence based approach to your request and will be more likely to succeed at being compensated for your efforts. Remember, there are usually only two outcomes, yes or no. Whatever the outcome is, be respectful and thankful for any feedback that you’re given. This is a skill that will come in handy throughout your career and a process that will need testing and developing. Get in touch with the Kendrick Rose team with any questions.